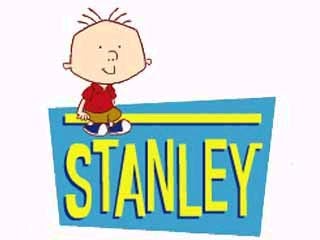 Stanley is a comedy/educational series from Playhouse Disney that follows six-year-old Stanley Griff, a boy just WILD about animals. With the help of his brilliant pet goldfish, Dennis, Stanley leaps into the pages of his magical zoology book, the Great Big Book of Everything, to explore the animal kingdom; the fun-facts he learns on his kooky adventures help him (and Dennis, too!) solve kid-relatable problems back home. I was the favored writer on this Annie Award nominated Disney Channel show, and several of my scripts were chosen to be adapted and published by Disney Press as children’s books.